Sometime we need to launch two or more programs at a time. What we do, we click the shortcut twice of those two different files to launch the programs. An example will make you understand the situation better. Suppose, you need to open Notepad and Calculator almost every time. 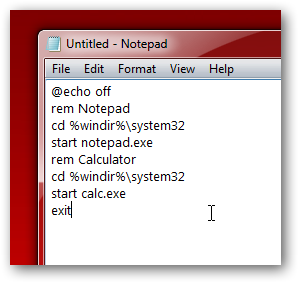 We will create a batch file, so that, on double clicking the batch file both programs (say Calculator and Notepad) will open at a time. This Article Has Been Shared 5552 Times! This tutorial shows how to selectively prevent running specified programs and applications in Windows 7. In this tutorial, we will provide you two registry files to add or remove an elevated command prompt option in any folder. In this tutorial, we will show unique and easy way to get Windows Mail back in Windows 7 with SP1. 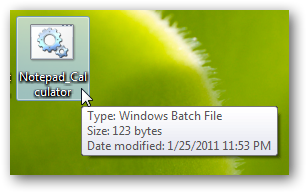 Cite this article as: Abhishek Ghosh, "How to create a shortcut in to launch multiple programs at a time," in The Customize Windows, January 25, 2011, April 21, 2019, https://thecustomizewindows.com/2011/01/how-to-create-a-shortcut-in-to-launch-multiple-programs-at-a-time/.